Why I’m Going to the CHEA Convention and Why You Should Too! What are you doing May 29th-31st? 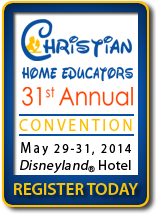 I’ll be at the CHEA (Christian Home Educators Association of California) Convention at the Disneyland Hotel. I hope you’ll join me there for information, inspiration, and fellowship. Details on the Convention can be found at the CHEA website. Take advantage of the pre-registration discount by signing up no later than midnight, April 21st. If you’re just thinking about homeschooling, there’s a great FREE mini-conference for new homeschoolers on Thursday evening , May 29th. Sessions include Just the Facts M’am: Homeschooling Works, Introduction to Home Education, and you’ll get to visit the Exhibit Hall as well. Other sessions throughout the conference that I’d recommend are My Journey Out of the Government Schools and into the Joy of Home/Life Education, Homeschooling: Essential to the Natural Family, Building Strong Families through Christian Homeschooling, and many more. If you’re new to homeschooling, useful sessions include Getting Started, Keeping First Things First, How to Determine Your Child’s Learning Style, Making Curriculum Choices, Recordkeeping and Lesson Planning, and many more. If you don’t think you can afford to homeschool, check out these sessions: When is Enough Enough?, Get Right on the Money, and Five Ways to Make Money in the New Online World. This entry was posted in Helpful Organizations, Homeschooling Information and tagged CHEA, Christian Homeschooling, Disneyland Hotel on April 15, 2014 by Penny. This weekend is CHEA’s Annual Convention in Southern California. I’m looking forward to being back at the Disneyland Hotel, which is where I attended my first ever homeschool convention. I still remember the sense of awe when I realized how many other people homeschooled and the feeling of being totally overwhelmed as I attempted to look at curriculum. Multiply that by 10 (at least) to get a sense of what a modern day homeschool convention looks like! I’m teaching 2 workshops on Saturday: “Recordkeeping Simplified” and “You CAN Teach Preschool at Home!” Whether you attend my sessions or some of the others, I’m sure you’ll be blessed and encouraged as there are some wonderful speakers and seminars available. Let’s pray for God to move mightily at this convention! Hope to see you there! 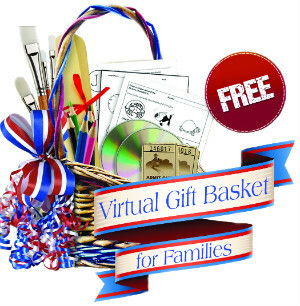 This entry was posted in Helpful Organizations, Homeschooling Information on June 4, 2013 by Penny. Homeschool Convention — Here I Come! Whether this is your first year homeschooling or your twenty-first, I encourage you to attend a convention every year that you possibly can. Looking at sample pages of curriculum over the Internet doesn’t begin to compare with the opportunity to speak with the author of the book. Struggling through teaching a particular topic can feel so isolating — until you attend a workshop at a convention and discover 50 other people also struggling in the same area. The encouragement and support you will gain in a day or two of convention attendance can last you through an entire school year of ups and downs. For more information on the homeschool conventions and conferences sponsored by AHEAD (American Home Education and Discipleship), see “What Are AHEAD Conferences?” by Mary Ann Eagleson at http://americanhomeeducation.org/blog/post.cfm/what-are-ahead-conferences. This entry was posted in Helpful Organizations, Homeschooling Information on April 9, 2013 by Penny. The Rosses began homeschooling during Academy’s first year in 1987. Joe was an excited kindergartener while Amy attempted to keep up, though only a toddler. Andy was making his presence known by the morning sickness which kept me in the bathroom during most of our first Academy Days (now known as EXTRAs Day). After that difficult first year, it’s amazing that we kept homeschooling! But even then, we were beginning to glimpse the fruit as we all learned to integrate our faith and real-life into our academic studies. As the years passed, homeschooling turned into an integral part of our family life together. Though my children have all now graduated, it has been a privilege to continue working at Hope Chapel Academy. I love the opportunities to watch you teach and disciple your children as they grow up. I am thankful for the support and encouragement I received from this program and I’m so grateful for the freedom we have to homeschool in our state and country today. May God continue to bless and guide us as we raise up succeeding generations to glorify Him! This entry was posted in Helpful Organizations on September 10, 2012 by Penny. What is CHEA and Why Do We Need It? Your homeschool rights and much of the support you get in homeschooling is the fruit of the hard work of three different organizations: Home School Legal Defense Association (HSLDA), Family Protection Ministries (FPM), and Christian Home Educators Association of California (CHEA). The quiet one of the trio is CHEA. They are content to work in the background, so many of you do not know what they do and how they bless us. I recently asked one of our moms what she would do if asked about homeschooling by someone beginning to consider it. Without hesitating, she said she’d tell her to call me. Besides my own experiences homeschooling my kids and learning by the seat of my pants, do you know where I get most of my information? It is from the 2-3 homeschool leader events each year that I go too. And guess who sponsors those events? CHEA! This entry was posted in Helpful Organizations on September 9, 2012 by Penny.